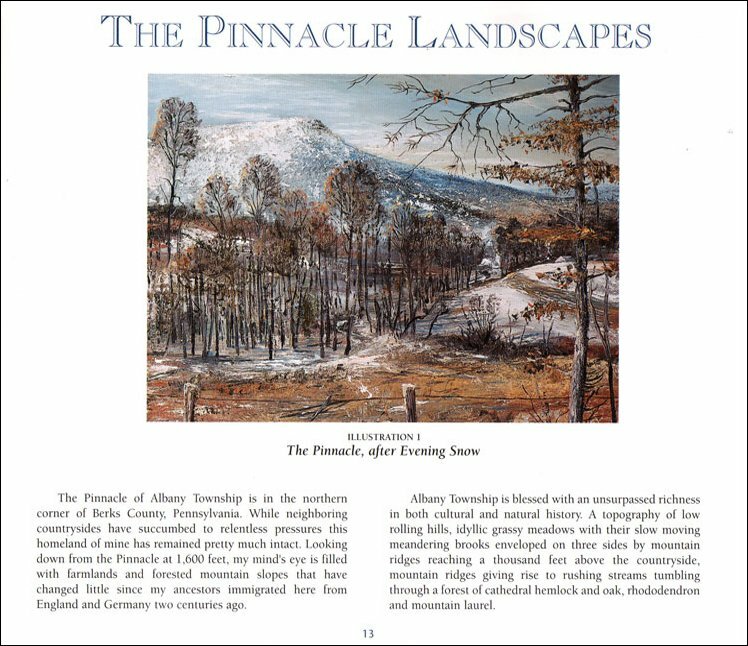 The Pinnacle Landscapes is Jonathan Bond’s nostalgic retrospective of his deep rooted Pennsylvania German heritage and the scenery that inspired it. 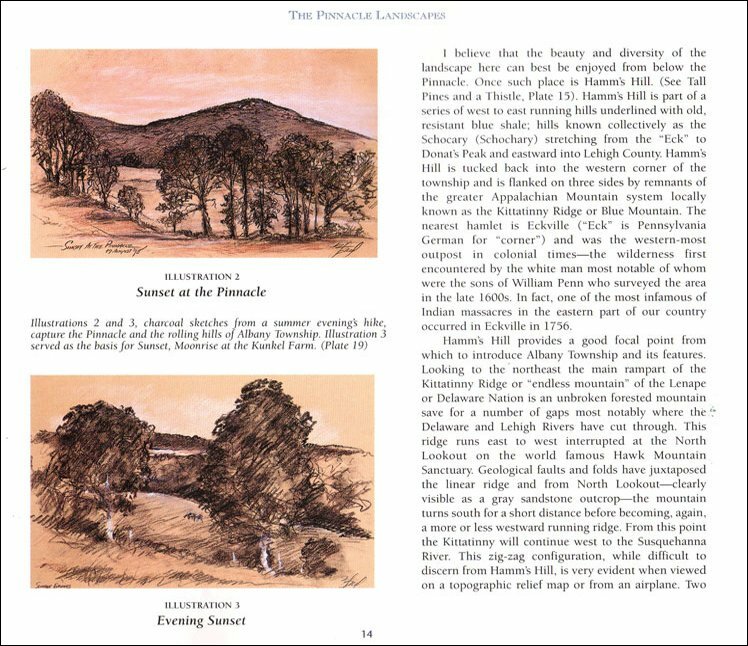 The Pinnacle Landscapes was produced as a limited publication and each copy is signed and numbered by the artist. 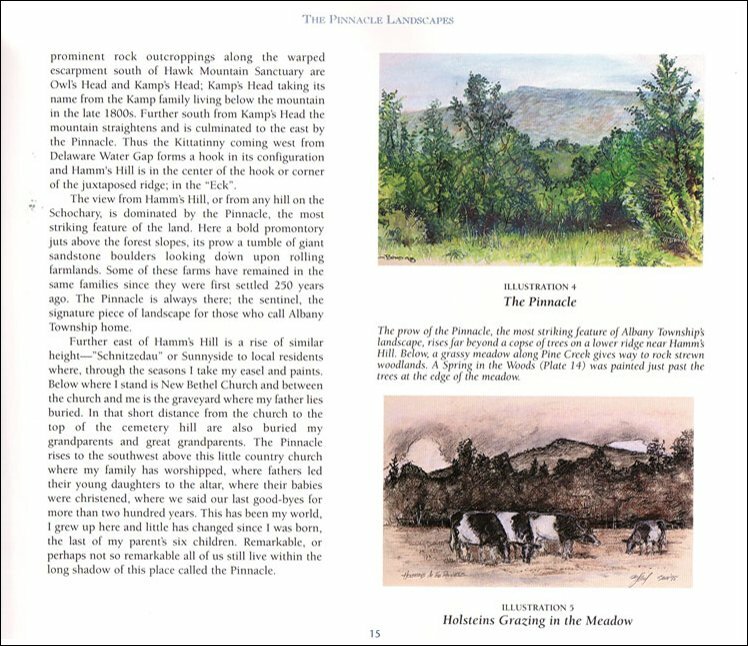 There is a hardbound edition of 1000, and a leatherbound edition of 50. 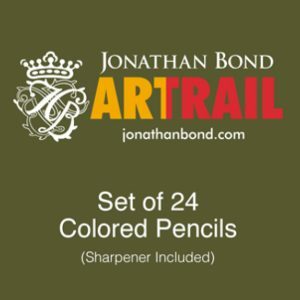 The original art, including 34 color plates and nine color illustrations, is reproduced together with detailed references of the circumstances experienced while Bond was on location with easel, paints, pastel and paper. 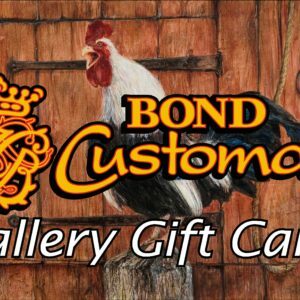 Herein lays the mystique of this wonderful collection of landscape art. 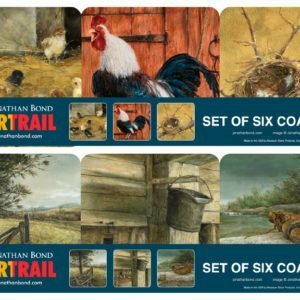 The artist was able to masterfully render scenes of old grist mills, arched stone bridges, meandering streams, barns and country churches situated amongst the rolling hills and valleys in the shadow of the central Appalachian Mountains. Dominant in most of the scenes is the Pinnacle, the highest promontory in Berks County, Pennsylvania. 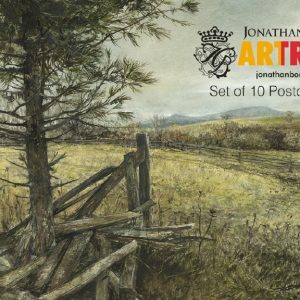 A detailed map illustrates the locations in Albany Township where the paintings and sketches were created, in most instances, in plein-air. 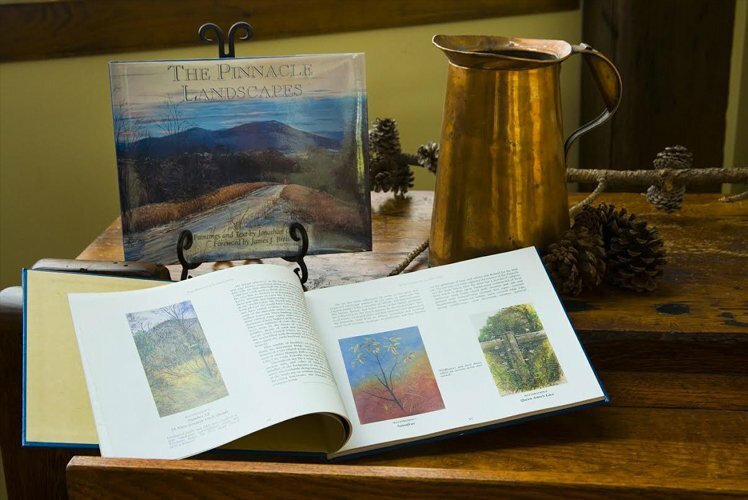 The book also features a foreword by James J. Brett, world renowned naturalist and longtime curator of Hawk Mountain Sanctuary.